wearing: The Dress, vintage Mickey sweater, belt - cotton on, Laptop case - rubi, sunnies - AM Eyewear and Soles boots. Every Tuesday is a uni day for me so I decided on a comfy option to wear to my classes. Mickey ALWAYS makes a comeback in fashion trends, even this season he's been spotted on the runway. So a good tip is to hold on to anything Disney (as if you wouldn't anyway)! I added a belt to give myself a bit of a waist and my laptop is an essential for classes, of course, so I have my black laptop case which goes with any outfit. Day 3 coming tomorrow! They get more and more exciting each day. 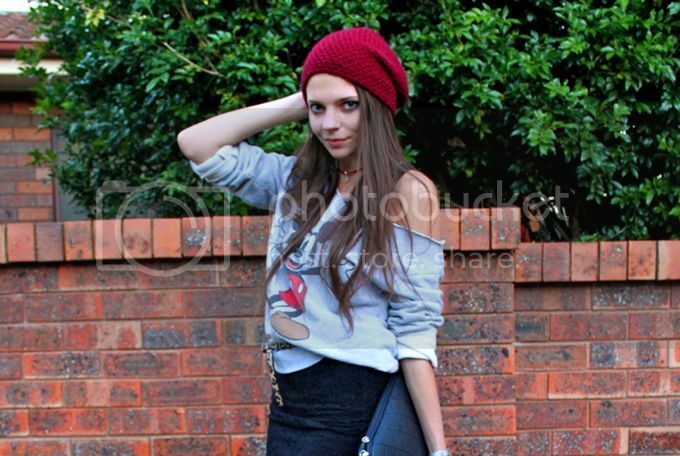 Love the mickey mouse sweater! It's so cute but makes the outfit look really cool at the same time. To me, this outfit is perfect! This is totally something I could wear. love this look, I'm kicking myself for not holding onto all of my mickey stuff because that sweatshirt is awesome! 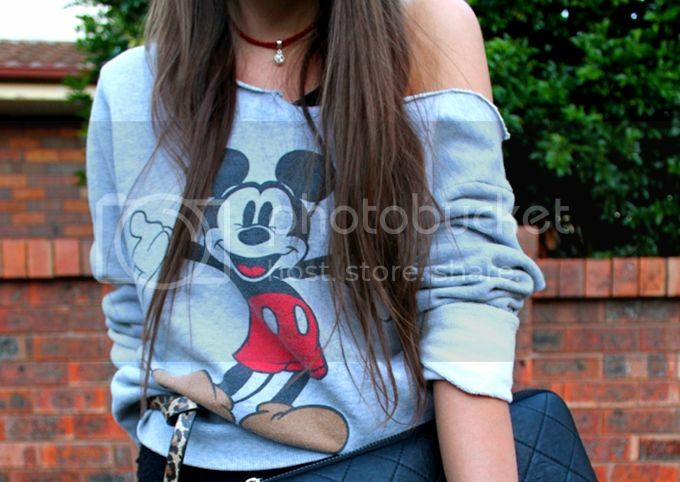 really love mickey mouse sweater! I love the hat and skirt combo, so adorable! Hey. I hovut Helena. You are very cute and I love your shoes. I started to follow your blog, can you check my?